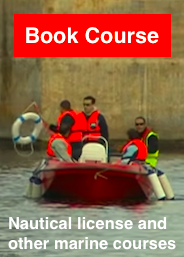 Get the training you need to obtain a Nautical Driving Licence from Transport Malta. You need a license to operate any private pleasure craft of 30Hp and over. 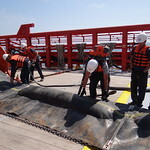 The Licence issued is limited to the ports, and territorial waters of Malta. Have questions? Call (+356) 21800289 or (+356) 21800291. Or, send an email to admin@aost.com and leave us a number where we may contact you during office hours. 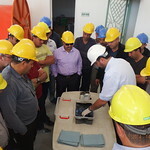 We also offer a wider selection of courses - read more. Il-kors tal-liċenzja tal-baħar minn għand AOST huwa offrut anki bil-Malti. Għandek xi mistoqsijiet? Cempel 21800289 jew 21800291. Inkella ibgħat email fl-indirizz admin@aost.com u tina numru fejn nistgħu nċemplulek waqt il-ħin tax-xogħol. Noffru ukoll korsijiet aktar avvanzati - aqra aktar hawn. Note regarding the International Certificate for the Operators of Pleasure Craft (ICC): We have been informed by Transport Malta that this certificate does not automatically entitle the holder to a Nautical License issued by Transport Malta. The authority has precised that there is no such entitlement even if the ICC was issued by a training institutions in Malta. For any help please reach out to us by phone (+356) 21800289 or (+356) 21800291 or email to admin@aost.com. Nota rigward l'International Certificate for the Operators of Pleasure Craft (ICC): Transport Malta infurmatna li dan iċ-ċertifikat ma jintitolakx ghall-Liċenzja tal-Baħar minn għand Transport Malta. L'awtoritaż ppreċiżat għalkemm dan iċ-ċertifikat qed jinħareġ minn skejjel Maltin, xorta ma jintitolakx awtomaikament għal-Liċenzja tal-Baħar minn għand Transport Malta. Jekk tixtieq għajnuna ċemplilna 21800289 jew 21800291 jew ibgħatilna email fl-indirizz admin@aost.com.